For Coupon Clipping Services, Ration Slip Selling Firms Vouchers Making Companies And Much More Which Fall In The Same Zone. The best experience of the shopper is to avail the discount while shopping on their favorites products. This can be achieved through shopping vouchers. 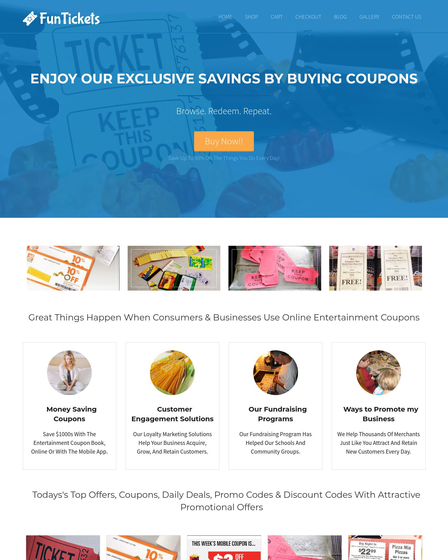 Coupon Clipping Service WordPress Theme helps the professionals who indulge in the trading of the credit slips products to boost up their business sale and to finished up their leftover stocks. 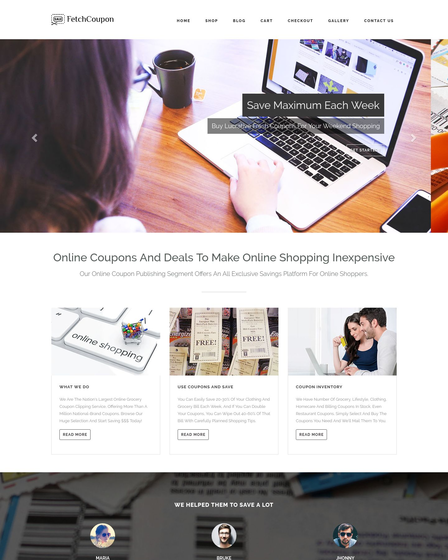 TokenClip makes good match for the organization like coupon clipping services, ration slip selling firms vouchers making companies and much more which fall in the same zone. The skin is inbuilt with WooCommerce plugin through which you can sell your products on the internet and many different features to provide the splendid effect to your business. 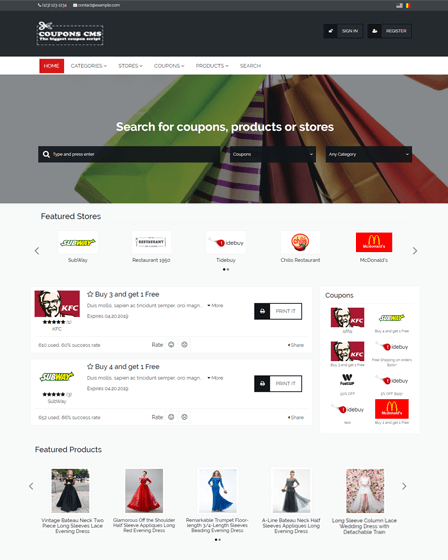 With the help of WooCommerce plugin of the templates, you will be able to create your online store of tokens & coupons. 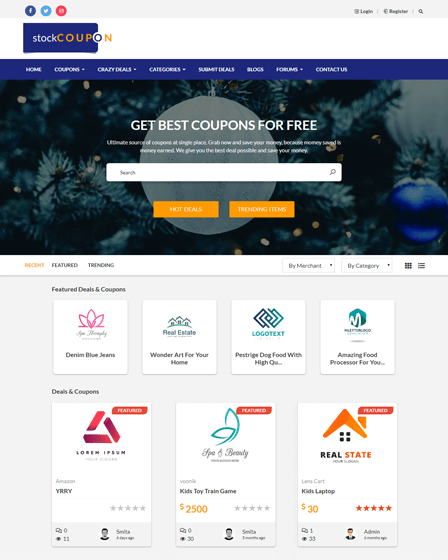 You can also manage your online store with an easy control panel in the backend and allow your customers to purchase the coupon online without any inconvenience. The template has a service section in which you can display your basic services of the tokens. Through this, your customer will be able to know about the basic services of your company. The theme has a products section which enables you to display the latest arrival of your products on the homepage. 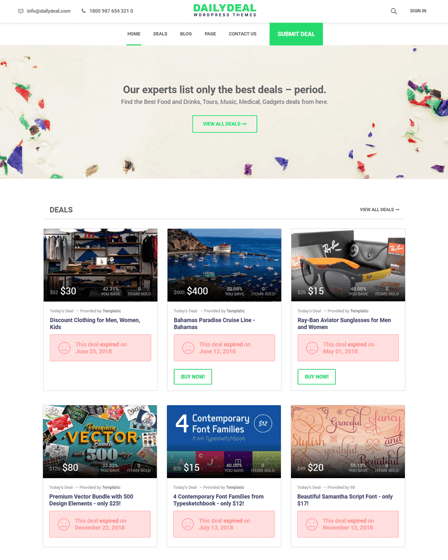 This section helps to highlight the important products of your online store from where customers can easily access the most popular items of your store. The testimonial section of the theme assists you to manage the customer’s review regarding your services. It helps to maintain faith in the visitors. The template is integrated with the blog section where you can share your views or any promotional articles of your business. The blog section displayed on the bottom of the homepage from where visitors can read out easily. Update organization logo on the top left.